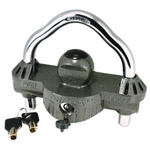 Premium UNIVERSAL 360 degrees of "solid hardened steel" dual purpose coupler lock (fits ALL couplers). 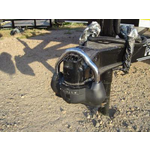 The UMAX 100 features an exclusive design that provides 360 degrees of hardened steel protection for your unattended trailer. 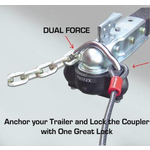 Provides instant security for your camper, boat or trailer when they are not hooked up to your vehicle. Features 1/2 turn technology that cannot be false locked. 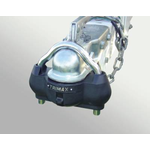 For dual force security add a TRIMAX chain or cable secured to an anchor point! Also, add a TRIMAX coupler lever lock for additional protection. Easy Installation. Slide ball up into coupler and replace u-shackle. Type A key which is spring loaded, 7 pin, high security key. Resists attempted drill outs. Rugged and durable, the key will not bend or break.